THPBlog: Sierra Pacific Industries to clearcut log east of Quincy, CA. Sierra Pacific Industries to clearcut log east of Quincy, CA. This THP is about 12 miles SE of Quincy, CA and 3 miles NE of Cromberg, CA and Highway 70. 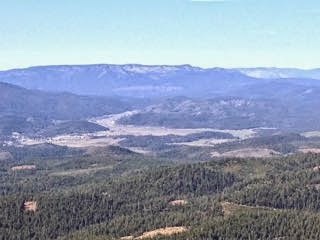 Sierra Pacific Industries is planning a mostly clearcut tractor logging operation in ponderosa pine, Jeffrey pine, white fir and incense cedar forests at an elevation of 5,100 to 6,700 feet. The THP area flows into the Middle Fork of the Feather River which is listed as an impaired watershed. 14 road drainage sites are planned for work including rocking, dip construction, culvert repair/replacement and bridge and water hole construction. Scalloped moonwort was found at multiple locations (springs, streams, meadows) throughout the THP area. More information is available on the THP Tracking Center website.